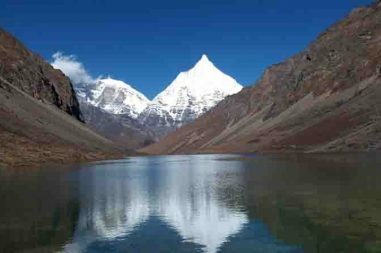 Dagala Short Trek is an excellent option for the beginners who desire trekking in the Himalayan kingdom. Without taking up too much physical or mental pressure this journey can be done. The trek takes us to the elevation of maximum 4,500 meters. It is a superb getaway opportunity to travel in the dragon kingdom. Begin your wilderness adventure traveling with the expert and highly experienced team of Bharal Adventure Pvt. Ltd. 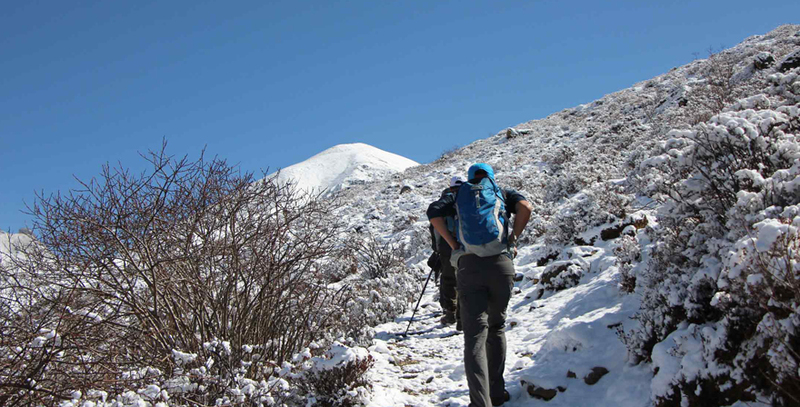 The trek comprising of sightseeing and trekking in and around the various famous monuments and regions in Bhutan. Dagala Short Trek allows you to familiarize yourself with the culture and tradition of the Bhutanese people. Also you can learn the rich cultural and historical heritage of the country. Witness the history, culture, and Himalayas of Bhutan with Bharal Adventure. This nine days trek is a perfect getaway option. Those travelers who are willing to take up trekking as their new adventure holiday experience dont miss it. This trek takes you away from the hustle and bustle of the city. In addition allowing you to have the experience of camping in the picturesque landscapes and tranquil environment. Bharal Adventure Pvt. Ltd. is the amazing trekking agency based in Nepal with the vast connection of Bhutan. Finally witness the magnificent Bhutan in the best competitive rate than the Bhutanese trekking or travel agencies. Book with us for the hassle free and the quality trip of Bhutan. Therefore, Bharal Adventure assures you best hospitality and quality services. You will be received at the airport and transferred to your hotel where you can freshen up and take rest. In the afternoon, a visit to National Museum of Paro will be organized from where we will proceed to Paro Rimpong Dzong. To end the day, we shall take a leisurely stroll down to the parking areas across wonderful cantilever bridge built over Paro Chhu. You can either choose to relax in your hotel room or take a stroll around Paro town in the evening. We have our breakfast and then drive to north end of Paro valley from where we begin our hike to Tiger Nest Temple, a renowned temple in Buddhist world which ceilings on the vertical cliff 900m above the valley floor. It will take about two hours to reach to the top which will be our warm-up for the trekking next day. We will also visit the historical Drukgyel ruin Dzong and Kichu temple on our way back to our hotel. Our trek begins from the village of Genekha where we will arrive after a short drive from Paro. 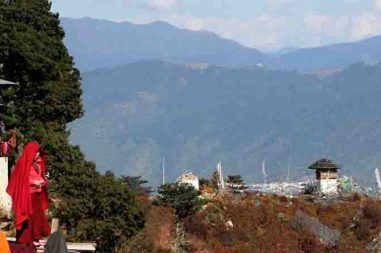 Here, we can observe varieties of alpine flora and birds and animal species. Two hour gradual walk uphill takes us to a huge rock platform where we will take rest for some time and enjoy scenic view of the valley below. Another two hours trek will take us to Gur making the end of the trek for the day. We wake up early in the morning to witness the first golden rays of the sun kissing the third highest mountain, Mt. Kanchenjunga and the highest peak in Bhutan – Mt. Jumolhari. Then we have our breakfast and set out on our day’s trek hiking straight uphill until we reach the ridge of Dolungghu from where we will enjoy the panoramic view of the valley and also Labathama, the valley of yak herders. We have our lunch and then retracing our steps, we get back to the bridge Genezampa at the height of 2,850m. We cross the bridge and following the fiddle road towards north, we walk until we arrive at the village of Zamto from where we move ahead few hours to reach Tshotsekha. Following the valley towards the north, we set out on one of the easiest hikes of our journey. We cross the ancient village of Tshotshekha and camp just below Japhula Pass. Starting the gentle climb following a valley that slowly opens as we climb up, we ascend to Japhula Pass where we will have our lunch and cherish the views offered by the landscape. After lunch, we follow the trail going downhill taking pleasure in the fast changing vegetations. 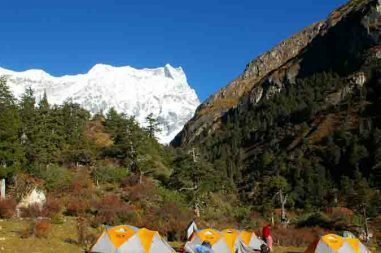 We will camp by the big ground that offers splendid view of the northern ranges of Bhutanese mountains. This morning we enjoy the second sunrise over the mountain peaks of the journey. We have our breakfast and descend down through the mixed vegetation fields arriving at the main motor road of Chamgang village from where we will climb on the vehicle waiting for us and bid farewell to the trekking staffs and ponies. From here we drive to Thimphu where we will arrive on time for lunch. We will indulge in sightseeing around Thimphu before proceeding to Paro in the evening. The day will be spent visiting the Memorial Chorten, Buddha View Point, Takin’s Mini Zoo and Painting School before lunch and after having our lunch we will visit Textile Museum and Folk Heritage Museum. This is the final day of yours in the dragon kingdom for this time. You will be escorted to the airport before you reporting time by one of our representatives.